SerpentBlanc sent this in too, and what a great news it is! For the second time, Robin Hobb has been awarded a French literary award! Her short story Homecoming, called Retour au pays in French and published in Légendes de la fantasy II has won the Short story award of the French fantasy festival Imaginales. More details in French. SerpentBlanc from Les Rivages Maudits sent in an email telling that Alien Earth is going to be released in French in May or June by Telemaque, who has also published the French translation of Cloven Hooves. 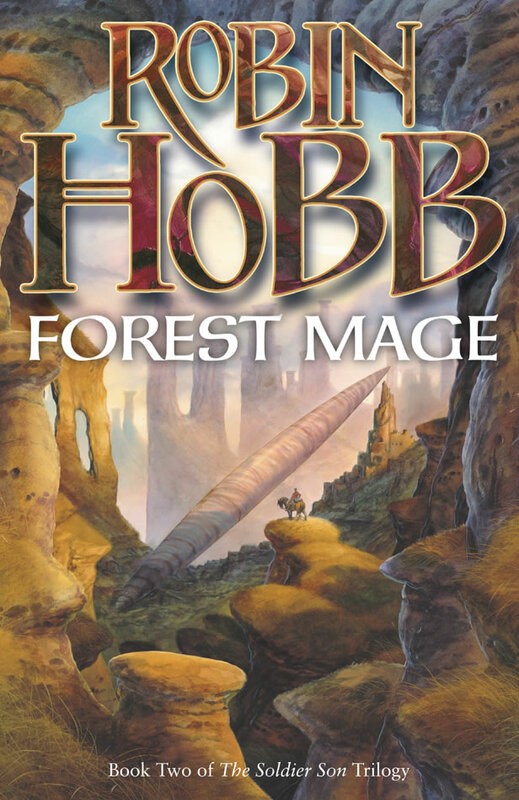 There is a bigger version of the front cover for Forest Mage circulating around. Shaman’s Crossing will be published is paperback in US in the coming September, and it seems to have a different cover art from the hard back version. The wiki project has taken most of my time lately, but there are still some new goodies: new category of icons that I hope to expand soon and a recipe for Nighteyes’ favourite ginger cake. Most prisons are of our own making. A man makes his own freedom, too.